31 Months with Locs: Lots of Growth + Pops of Color! Time is flying and my locs are growing! 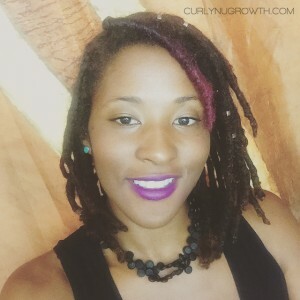 I’m a little over 2.5 years with my locs and I have many many updates. It definitely seems that once my locs hit the 2 year mark and officially were all in the “shooting phase” they’ve started growing like weeds! One area on my head that I’m particularly excited about the growth of is my edges! Yes, my edges are back! No, I didn’t lose my edges to wigs or weaves, I became a mother. Not to say my kid caused my hair to fall out, he’s not a teenager yet (lol! ); it was postpartum hair loss. But now, a year later, I finally see considerable growth! 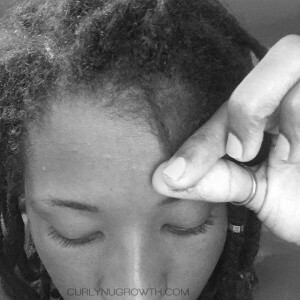 I do attribute my edges growing back to Alikay Naturals Hair Growth Oil — it’s like magic in a bottle!!! With all this nu growth, you’d probably be expecting me to retwist my roots, but nope; I’m letting them be free. 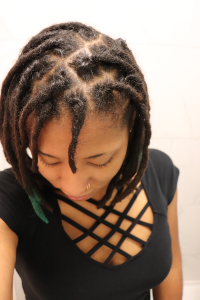 I think its been almost 5 weeks since I last retwisted my locs and I’m loving it. 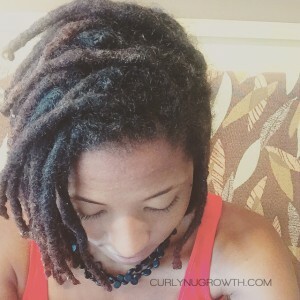 Although, admittedly, with all the new hairs sprouting around my edges I do get the desire to tame them but I just remember my end goal– thick juicy locs! I’ve also decided that I’m going to treat myself to a salon service for my locs soon. I am really looking forward to having someone else shampoo my locs and massage my scalp, that’s such a great feeling, isn’t it?! For the majority of this year, and I believe the end of 2014 as well, I was using the Shea Moisture Jamaican Black Castor Oil Shampoo on my locs, which I liked but it was time for me to switch it up. I have received several requests for a review on the Dr.Bronner’s Castile soap so I picked it up and have used it, correctly might I add, for the past few weeks. I also use the Oyin handmade Greg Juice to moisturize my locs and seal with the Alikay Naturals Hair Growth Oil on an almost daily basis. One of the things that I really love about my locs is how care-free, low maintenance, and versatile they are. 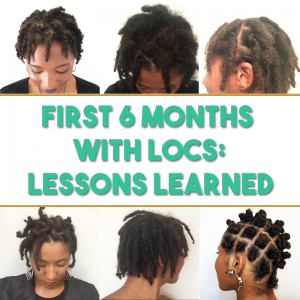 When I want to change up my look, I add some loc jewelry or temporary color to my locs. 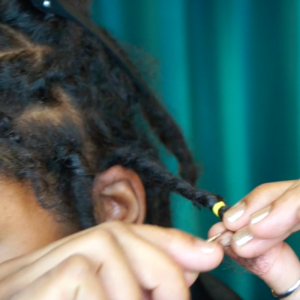 Lately, I’ve been wearing gold loc cuffs on a few locs and I love them! Also, from time to time I get that urge to color my locs, and when that happens I reach for my 1Pop Clip-In Locs! The fun colors are a great solution to my love-hate relationship with color! I can’t believe it’s been 2.5 years since you’ve started your loc journey. Congrats! I need to check out that Alikay Naturals oil because my edges need some serious help. I swear that Hair Oil is the truth! 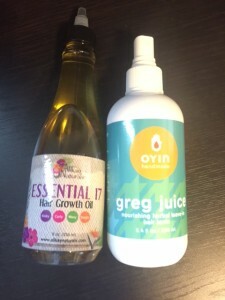 I have a full review coming soon!